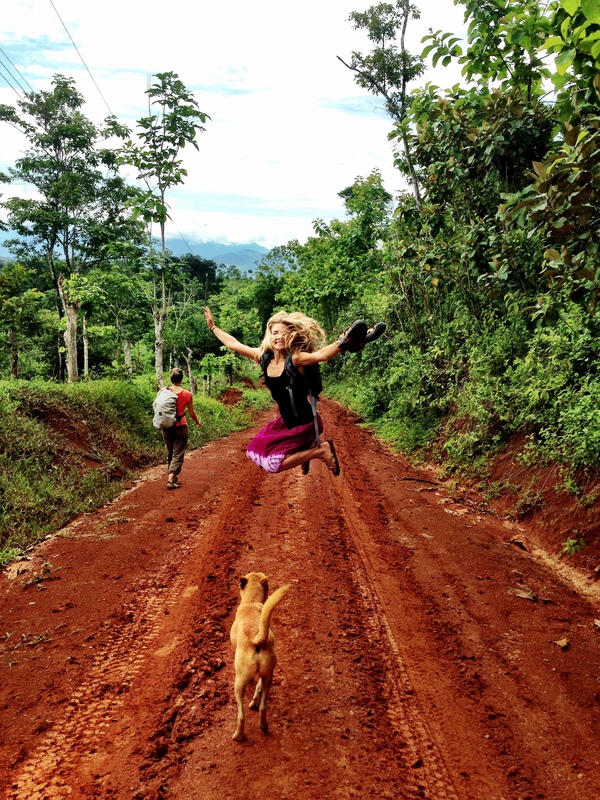 Costa Rica has been a dream of mine for a very long time…I am not sure at what point it became this way. I think that sometimes certain places capture your imagination in a way that you can’t always explain. Sometimes it is a blog you read, a newspaper article, a good story…sometimes it is just a single picture that strikes you in such a way that you cannot forget it. You think about the place absentmindedly, you add it to your bucket list. You look at flight prices (but always just to see). And maybe that is all that ever happens to you and the place that you can’t explain. But sometimes it pulls you. Sometimes it pulls so hard that there is no other option but to GO…to go and see this place that has captured you from afar. For me this was Costa Rica. And so finally I am here, fortunate enough to have been given the opportunity to chase my dreams. I’m chasing them for almost a whole year, spending next 10 months as a Hart Fellow with the goal of researching sustainable agricultural practices in Costa Rica. I’m fascinated (and alternately alarmed) by the impacts of tourism, globalization, and commercial development on the land. I worry a lot about the tropics. I worry about the land and the animals and the people. I worry about the life in these lands, a current of activity so vibrant that the earth seems to hum, always. In Costa Rica, the abundance of living things is so overwhelming you cannot help but get swept up in its energy. The complexity of tropical ecosystems, and the fragility of the soils, make the tropical ring of the world especially vulnerable to the negative effects of conventional agricultural practices. Clear-cutting forests leads to rapid nutrient depletion and soil erosion. Without the forest canopy and its abundance of above-ground biomass, there is nothing to fall to the ground and replenish the rapidly decomposing forest floor. Heavy rains (and no roots) ensure that whatever soil is left is soon washed away, leaving behind only hardened earth and rock. And yet we are deforesting the tropics to make room for monoculture crop production and grazing animals. We are utilizing harmful agricultural chemicals, building large cash crop plantations, and overfishing the seas. The tropics are changing, quickly. Climate change too, is playing a role of course. Many of the plants and animals in the tropics are extraordinarily sensitive to temperature. Small changes in average annual temperatures are wreaking havoc on delicate ecosystems and complex ecological webs. So this is what I am interested in. Can a country like Costa Rica utilize tourism, globalization, and foreign investment for good? Are there examples of this? Can ecotourism save the tropics, or at least encourage conservation? What is working, and what is not? What is happening to traditional communities? Who and what is benefiting from rapid development and landscape changes? Who and what is facing dramatic hardship? What can we learn from Costa Rica? How can we utilize what is happening here to stop what is happening in other places? 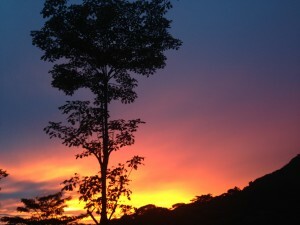 How can we preserve Costa Rica, and other parts of the world? How do we sustainably utilize natural resources? But for now, I sit outside looking over misty mountains and just try to take it all in. I listen to the cicadas hum in the trees, to the rustling of toucans in the trees. A few hungry cows wander below me, I can hear music up the hill, and then…it begins to rain. I tilt my face to the sky, and bask in it. I let the raindrops slowly wet my eyelashes and untangle my hair…I dig my toes into the soft earth and it rains and the mist rises. The whole world feels alive. I needed to wake up in a place and have no idea what to expect—what would transpire and how I would feel by the end of it. I wanted to watch the sun set and the birds settle in for the night. I wanted to say farewell to the day. I needed to let go. I needed to feel uncomfortable. I needed to move with the world, to reconnect with it. I wanted everything to look new again. I have no idea what this day or the next or the day after will bring…and there is something so refreshing about it I lean back and laugh.